This is the first entry in my brand new interview series, which is trying to further spotlight RMN's featured games and creatives minds behind them! The banner is very wip. This month, I talked to Dyluck, whom you might know for his games and reviews. I had him more for a reviewer, actually. 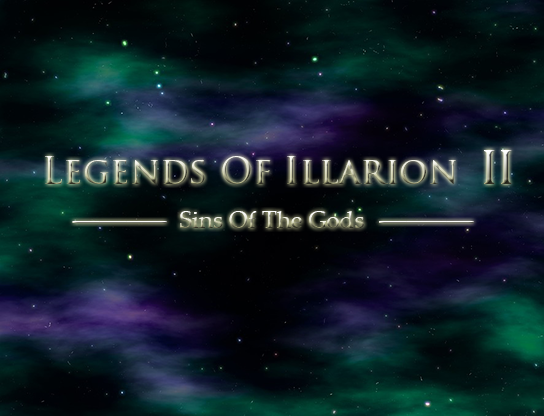 It slightly surprised me, that his game Legends of Illarion 2, a prequel to the original, is this January's featured game on RMN and a fairly popular game. 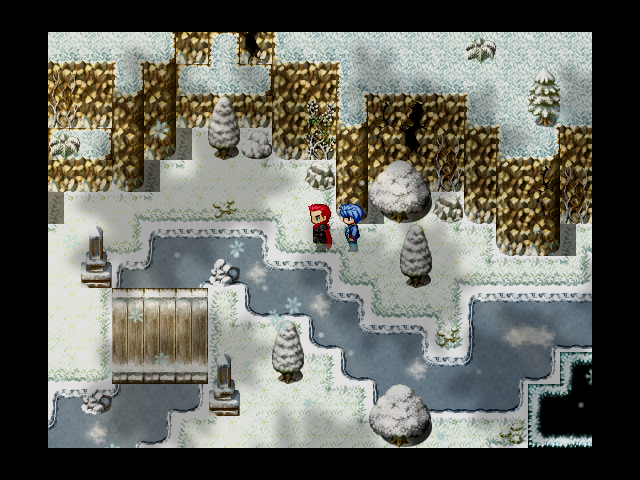 Legends are an old school JRPG taking inspiration from various 16-bit classics. You can find out more about it and a download here. Thanks for the interview! Could you introduce yourself to us? I go by Dyluck, which is a name borrowed from Secret of Mana. I first started making LoI1 at around 2004 I think, so you could say I've been making these games on and off for almost 15 years! I currently work as a software developer for a bank, but I hope to move on to developing games for a living someday! 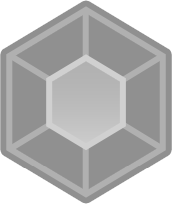 How does it feel to get your game featured? It feels absolutely fantastic to be finally featured on RMN and to be placed alongside many other great games that have been chosen in the past. Thank you to the RMN staff and the people who supported my game to be a feature candidate! Why did you decide to make a prequel? What were your inspirations? Towards the end of LoI1's development, I became more and more interested in the history behind the gods, who played a key role in the story, due to things that happened between them in the past. I wanted to explore this idea, to show how these gods once lived as regular mortals, and how their relationships with each other and the events of the past would shape their future personalities. I think Lufia 2 was one of my main inspirations because it was one of the earliest RPGs to be a prequel, and I loved how it revealed so much more backstory behind the first game. The Lunar series also inspired me, especially when it came to the charming characters and the banter between party members. Listening to music is also very inspiring for me when trying to envision certain scenes while developing the game. How long did it take to make Legends of Illarion II? It's hard to say, since I've been kinda working on it on and off over the years. I think I officially started working on it at around 2013 and did most of the work by the end of 2015, and released a version then. Then I left it until mid 2017 when I started working on it again and adding significant improvements. I finished what I consider the true completed version in October of 2017, although I've often still been making many small updates to it occasionally. What were the challanges, if any, when working on the project? What is your favourite part of your game? Is there something you feel gets overlooked by its players? I think my favourite part of the game is the ending. It feels like an epic conclusion and provides some insight about the future of the characters, and also has various references to the first game.The only thing about the ending is that it also throws out a lot of new information, so it might be hard to absorb it all for players new to the series, but I think it serves as a nice little payoff for veterans of the first game. Do you plan on expanding the same universe in your follow-up projects? Although I still have some stories I want to tell in this game universe, I don't think I will ever have enough time to make a 3rd full game to make a trilogy. It's more likely that I would make a short game that focuses on just a smaller part of the whole story. Lately, I've been having more ideas and inspiration on what I want to do, but so far it's not quite enough to start a project yet. Can you tell us anything interesting or unique about your working process? Spreadsheets are a good way to keep track of many things, especially in large games. I used them to help balance things like stat distributions of party members and what skills each character can learn at each level. When I designed the appearance of the main characters, I even used a spreadsheet to keep track of the hair and clothing color, to ensure that I had a cast with diverse and vibrant color schemes. What is your stance on going commercial? I think that I will always keep my games free, just because my objective is to let my game be played by as many people as possible. Going commercial is also a tough road that'll require a lot of work to gather the right resources so it's not feasible for the scope of my games, but I do wish the best of luck to other aspiring developers who want to try that path. I noticed you made a game for The Seasons of RMN event. What was the experience like? Do you plan on joining more community events? These community events are a lot of fun, and I'm glad to see that there's a variety of events happening quite frequently. 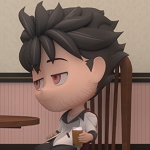 I think it's quite interesting because when you have to make a short game, you can't really use traditional RPG pacing and game progression, so it actually forces you to think about things like new ways to deliver your story effectively and new mechanics to make the gameplay interesting right off the bat. I'd love to join more of these events whenever I have time. Are there any other creators in the community, which inspire you? Any projects you would recommend to us? I want to give a shout-out to some of the fellow developers who completed big RPGs in recent years, such as Umbral Soul, Lakria Legends, Blackmoon Prophecy 2, and Chronicles of Tsufanubra. I know the blood, sweat, and tears, that must have gone into these passion projects, and I applaud you all for the hard work and dedication over the years that it took to complete your projects. Some of my early favorite RM games were Three The Hard Way and The Way series. I also remember playing some old classics that were quite enjoyable, such as Ara Fell, Demon Legacy, and Devil Hunter: Seeker of Power, just to name a few. I know it's little early for, but have you played any 2019 on-site releases, which would you consider nominating for Misaos? Are there any upcoming projects you're hyped for? There's a few upcoming games that look promising, with some very nice looking pixel aesthetics, such as Vermilion, Dirge of Doningoth, Villnoire, and Drekirökr, just to name a few. Momeka's projects always look very unique and fun to play as well. Thank you all to the people who supported me and played my game! I know that there's still a lot of room left for improvement, but getting recognized and seeing people enjoy the game makes all the hard work over the years feel worthwhile! And that's it. Thank you again for taking time to answer my questions and I wish you luck with your future projects! I really liked reading this. It's nice to get an insight into someone with questions you can't ask naturally. Sure, you've got the forum to talk to each other - but you never really get to hear people's background/inspirations/future goals in this way. Thansk! I hope so myself. It was a pleasure. Thanks for the interview! Always interesting to see interviews such as this one. It was a nice read! Thank you both, Cap and Dyluck, for taking your time in order to do this! And congrats for having successfully released a huge jRPG such as this one and for the feature, Dy!